It’s home to over 500,000 hotel rooms, and one of the best white sand beaches in the Caribbean, attracting thousands of sunseekers and vacationers each year. Punta Cana is a hotspot for all-inclusive vacation takers and the most popular destination for Dominican Republic vacations. Choosing to visit Punta Cana, with its miles of white sand beaches and location facing both the Caribbean Sea and Atlantic Ocean is the easy part. Choosing one of the many resorts – which is the best option for you and your travel plans, and the best Punta Cana 5-star resort is the tricky part. This Punta Cana 5-star resort along the famous Bavaro beach will have you swooning. It is luxury to a T. With almost 600 Deluxe Junior Suites also leading to stunning terraces or balconies complete with pillow menus will add that special something to your trip to ensure that guests here are fully relaxed and taken care of. Two pools, 6 restaurants, and 8 bars are on site to enjoy, and the resort is part of the larger Bahia complex: sleep here, but enjoy 5 other resorts for daily activities and fun. Want to fully relax? Visit the exclusive bar with recliners facing the ocean for the best R&R in the Dominican Republic. Butler service will up the ante for adults-only vacations or trips celebrating something extra special, making the Luxury Bahia Principe Esmeralda the perfect resort for everyone to visit. The Riu Palace Bavaro is along the famous stretch of Bavaro Beach, sometimes referred to as Arena Gourda Beach. This strip is known for its calm waters, bleached white sand, and stunning sunsets. That in itself is enough to make this 5-star Punta Cana resort somewhere you want to visit. The Riu Palace Bavaro is home to 2 pools, 6 bars, and restaurants ranging from Japanese to Italian and Caribbean, in addition to snack bars, an on-site casino, and on-site spa. This spacious, up-scale resort also offers access to the other Riu resorts on the property, meaning the activities, dining experiences and sights are endless on a Punta Cana vacation here. For those travelling with little ones, or the young at heart, the Riu Palace Bavaro has a water park on-site to make a splash in vacation time. 24-hour room service and pool-side beverage/waiter service will make this vacation the perfect blend of family fun and relaxation for everyone. 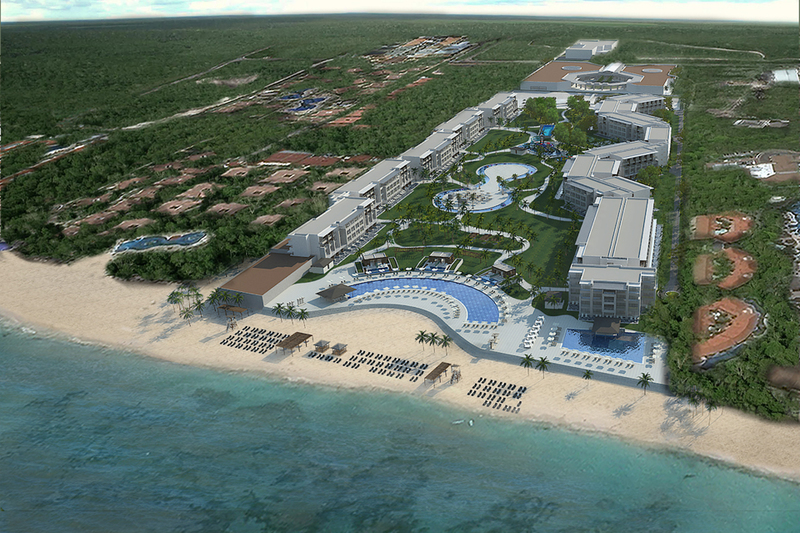 Look no further than the Riu Republica for an adults-only vacation in Punta Cana. 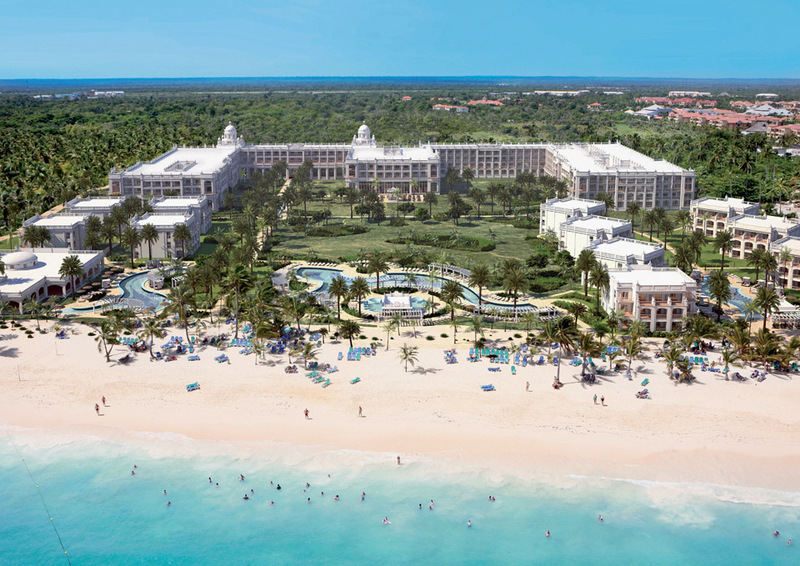 This 5-star resort in Punta Cana features three buildings housing over 1300 rooms, 8 pools, 9 restaurants, 10 bars, a waterpark, and unprecedented service and amenities on-site. 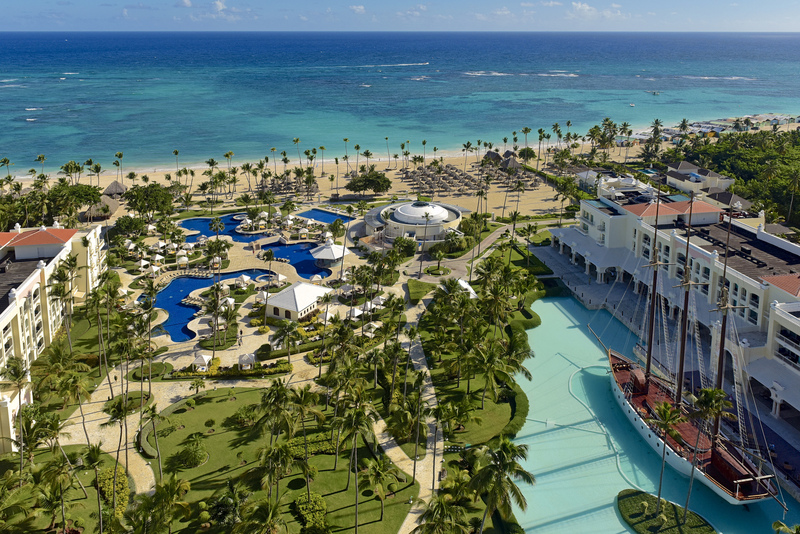 The Riu Republica is located along the stunning white sand beaches that Punta Cana is known for, and is a quintessential beach escape for an adults-only, relaxing paradise. 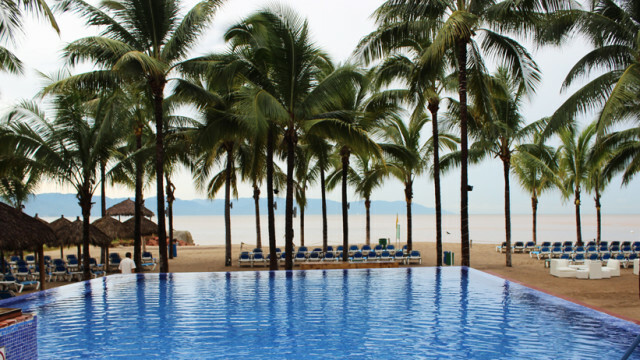 The resort is a 24-hour all-inclusive style resort, catering to your every need at every hour, with nightly entertainment, countless activities on the beach, in the pool, around the resort, and in the water with motorized and non-motorized watersports. Varied gastronomical offerings and plenty of bar options for a refreshing drink and relaxing atmosphere with friends, family, or a special partner. A Jacuzzi, fitness facility and spa make a stay at the Riu Republica a well-rounded stay. The Iberostar Grand Bavaro is an adults-only oasis along Bavaro Beach, set in a stunning location. This resort is home to all-suite rooms featuring Jacuzzis, three pools to relax by and countless activities for the traveller that can’t sit still on vacation. Parties, activities, and events daily, ranging from dance lessons to water polo, beach volleyball, and snorkeling or water skiing. For a true relaxing retreat, enjoy the hotel spa, and indulge in a few drinks at the five bars on site. Fare from around the world is available at the four a la carte restaurants and 1 buffet to add some extra flare to your trip. 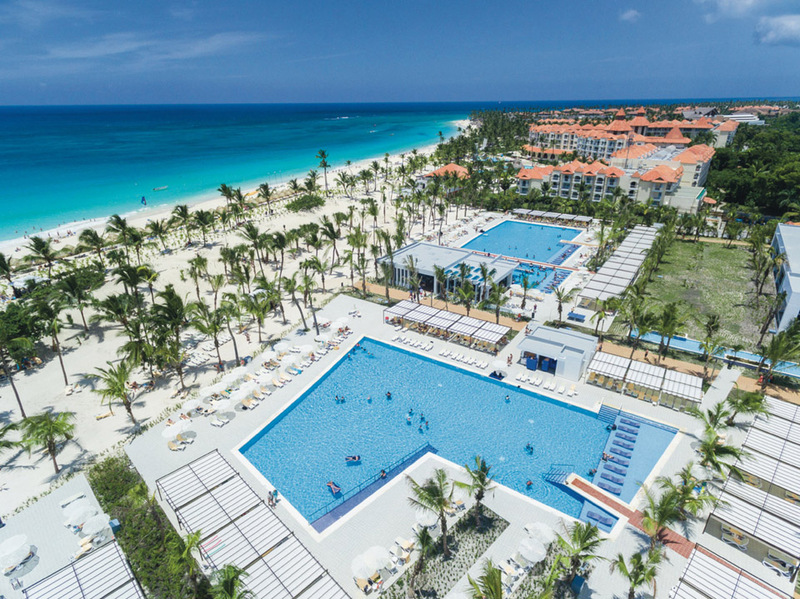 Guests at the Iberostar Grand Bavaro also have access to amenities at three neighbouring Iberostar resorts along the Punta Cana Bavaro beach strip. The Nickelodeon Hotel Punta Cana encompasses everything a family vacation should be from fun activities on site to characters roaming around to greet your little ones, suites and rooms set up for travellers of every age, and dining fit for the whole family. There’s no question why our travel agents love the Nickelodeon Hotel Punta Cana for family travel with younger kids. The best part for mom and dad? The Nickelodeon Hotel is run by Karisma, which means you can take full advantage of the Gourmet Inclusive program with fine dining, excellent dishes created by top chefs, and a luxurious feel to your stay. For the wee ones, enjoy Nickelodeon Palace with fun activities like getting slimed, dine with your favourite characters (including Spongebob Square Pants), have a blast at the waterpark, and enjoy countless other activities both in and outside, in the pool, and on the beach. No one will be bored on this family vacation. Two pools, 8 restaurants, 4 bars, a spa for mom and dad, live music and nightly entertainment and more await. 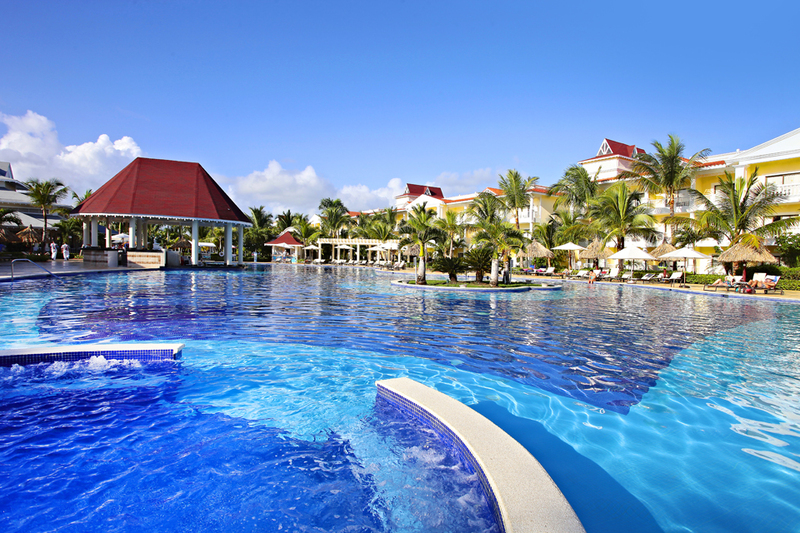 This resort is a great Punta Cana 5-star resort option for family vacations with older kids. On the famous Bavaro beach, and also featuring a water park and a lazy river, the Royalton Bavaro offers both high energy activities, and relaxing, laid back amenities and things to do. Buffet and a la carte dining options, accompanied by plenty of non-motorized watersports and nightly entertainment round out the resort’s offerings to ensure that everyone has something to tickle their fancy. The resort is definitely a 5-star property with all that it offers, and having something for everyone isn’t just a saying here. 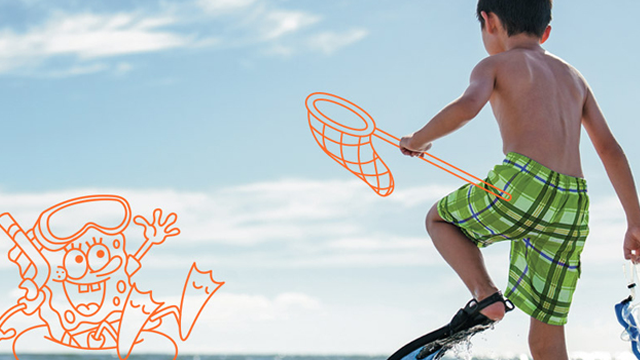 An on-site casino offers something just for the adults traveling, while the Flow Rider surf machine offers something special to preteens and teenagers looking for something different on vacation. Kids and Teen Clubs are available, as well. Is there a specific resort you’re more interested in, Susan? 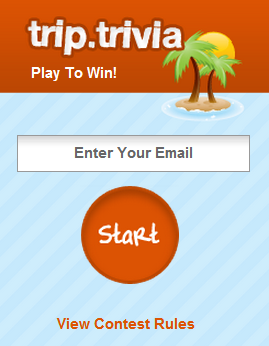 We can send you the link for that. In the meantime, look at our vacation grid for Dominican vacations to see pricing for different months. I stayed at the Bavaro Barcelo Palace Deluxe property in PUJ. So glad to hear you enjoyed the Bavaro Barcelo Palace! What was your favourite part of the vacation?